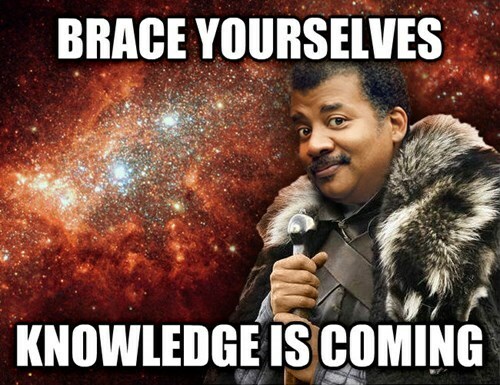 You’ve probably seen Neil deGrasse Tyson thoroughly school the rapper who thinks Earth is flat. It may be a bit astonishing, realizing that there are people in this modern age who honestly believe in a flat earth. I mean, even most creationists admit the thing is round. But flat eartherism still abides. And if you want to understand why, I’ve got just the book for you. My review is here, and you can click the image to purchase. You may also be interested in the story of Wallace’s Woeful Wager, in which our own Alfred Russell Wallace – yes, the co-discoverer of evolution – got suckered into a bet with a flat earth fraud. Flat earthers will always be with us, I’m afraid. Some out of ignorance, and some because so many people just enjoy being contrary assholes. The continuing existence of both Flat Earthism and Germ Theory denial are perhaps the two beliefs I have the hardest time understanding: Both seem plausible if, and perhaps only if, you close your eyes and keep repeating to yourself “I didna sea that! I didn’t se that!” For feck’s sake, people have known the Earth is essentially spherical since the ancient Greeks and probably before, and even knew how big it was. And people do not routinely defecate on the floor or in the well. There’s quite a bit of naked-eye observations and deductions one can make which cast serious doubt on flat germs. In contrast, geocentralism, to take another notorious example, is somewhat understandable: Off the top of my head, I cannot think of any naked-eye observation one can make which casts serious doubt on the idea. I suppose that, to be fair, the leap from “dirty water is bad” (and similar) to an actual “germ”-entity is also hard to make (using the naked-eye). Geocentrist have a hard time explaining how NASA manages to direct space probes accurately using (what they have to regard as) a totally wrong theory of gravitation. Probably a lot smarter than Richard Dawkins, I’m just saying. For the most part I really don’t care what people believe. I do ask that if you are going to have an opinion you should be able to tell me why you believe what you do. 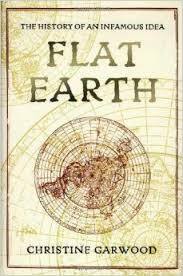 The problem with a belief in a flat earth is that, so far, I haven’t seen any reasonable argument or fact that backs that claim. It is a belief that sort of hangs out there in space, all by itself. On the other hand, there seems to be reams of information and practical evidence that the earth is pretty close to being a perfect sphere. The preponderance of the evidence, balanced only by the sole real contrary bit of evidence: “It looks like its flat from here”, seems to greatly favor the spherical model. So much so that failure to accede that the earth is round is not so much a result of logic, faulty or otherwise, than a perverse desire to be contrary.